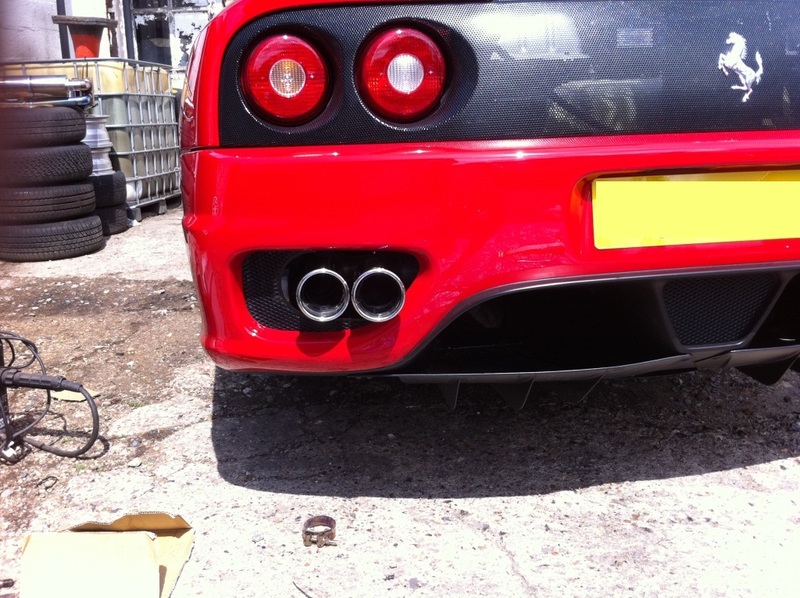 The Challenge Stradale has one of the best sounding exhaust notes of all the V8 cars. 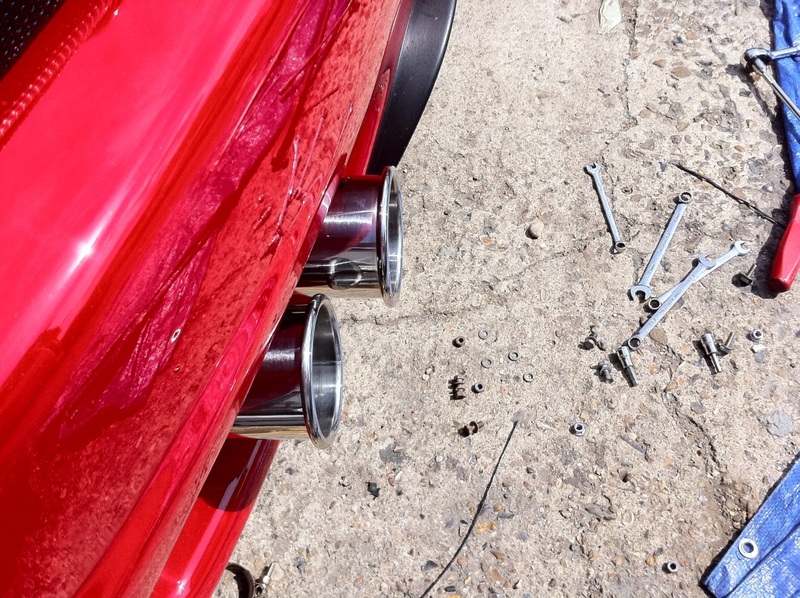 The bad news is that to buy a CS exhaust it’ll cost a lot of money and, due to the limited number of cars made, second hand items are few and far between. 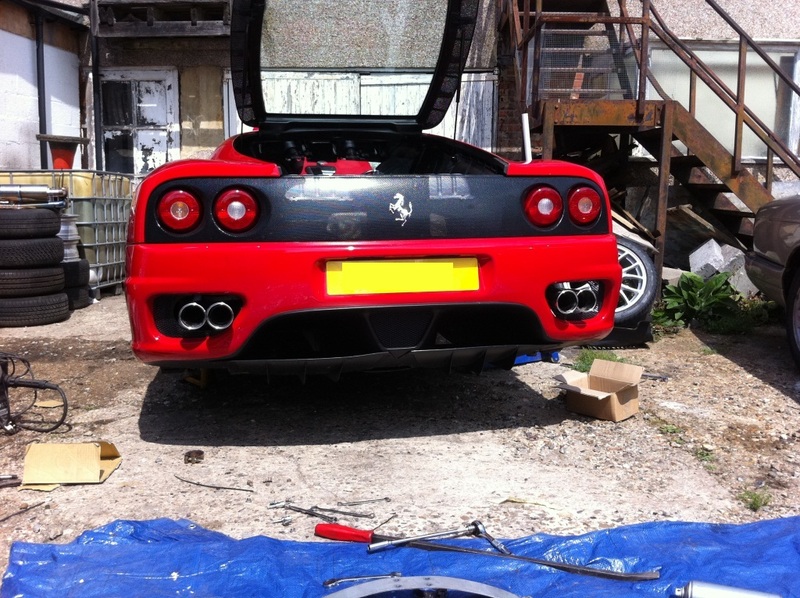 However, the F430 has a similarly designed system and can be modified to fit a 360. 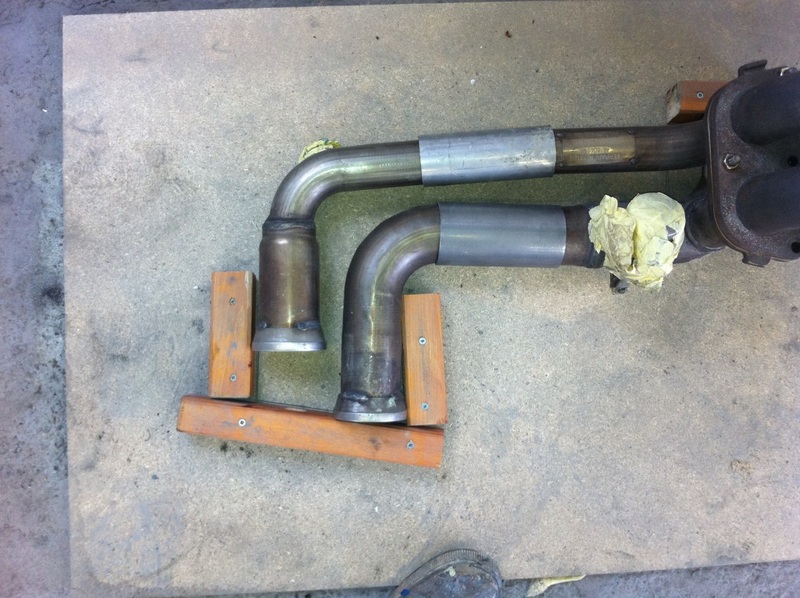 This post will guide you through what needs to be done to make the conversion happen but to start with we’ll examine the three different type of exhausts. First of all I should state that even if you fit a full Stradale exhaust to your 360 it will not sound exactly like a CS. This is because the engine mapping is different and intake system is larger (the intake does make a real difference to how a car sounds). 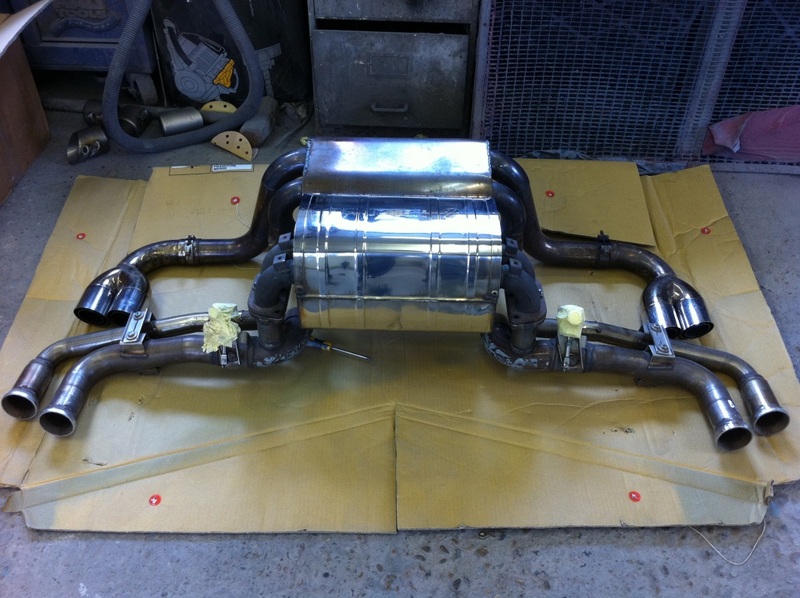 Furthermore, the F430 exhaust silencer, although similar, is not the same as the Stradale item. 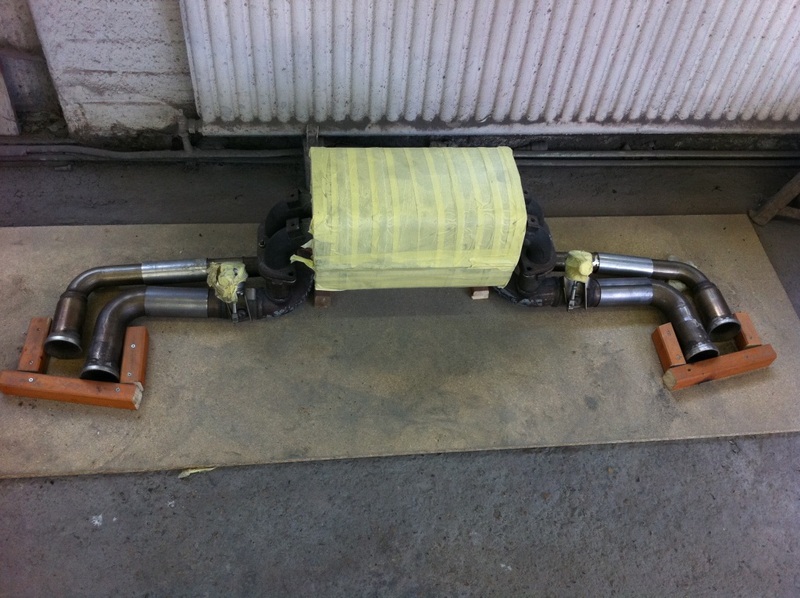 However, it is close enough and if you’ve got the wherewithal do the conversion it will make your car sound awesome. 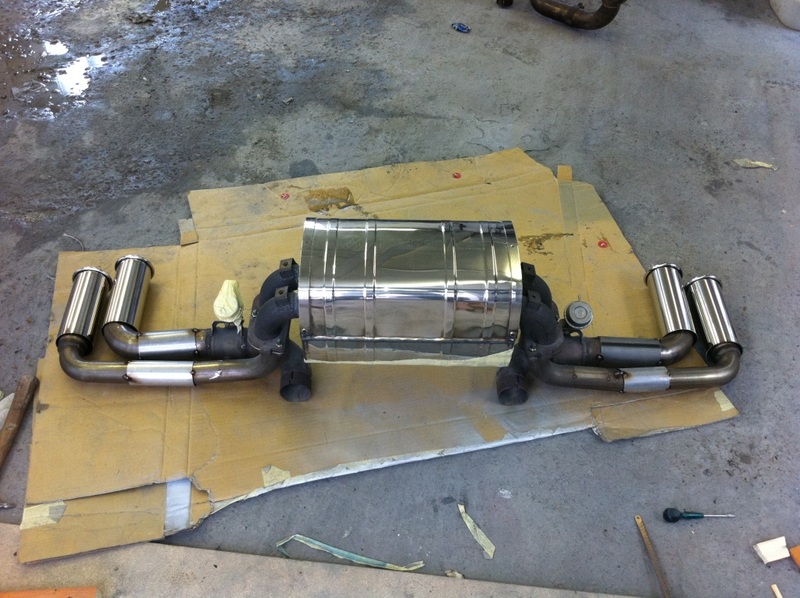 First of all lets look at a stock 360 exhaust – you will see that the gases pass from the catalytic converter into the silencer and out through two pipes per side. 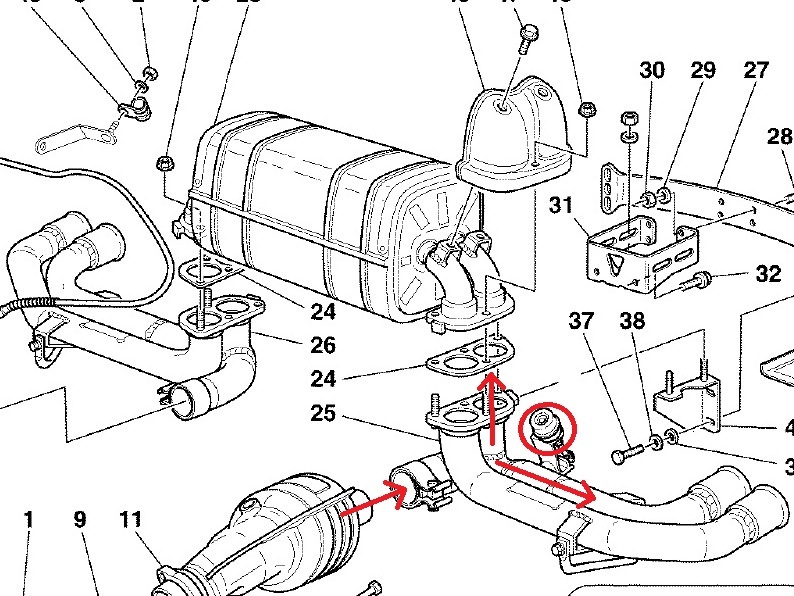 One pipe each side has a valve on it (circled). This valve is closed at low engine speeds and reduces the noise. 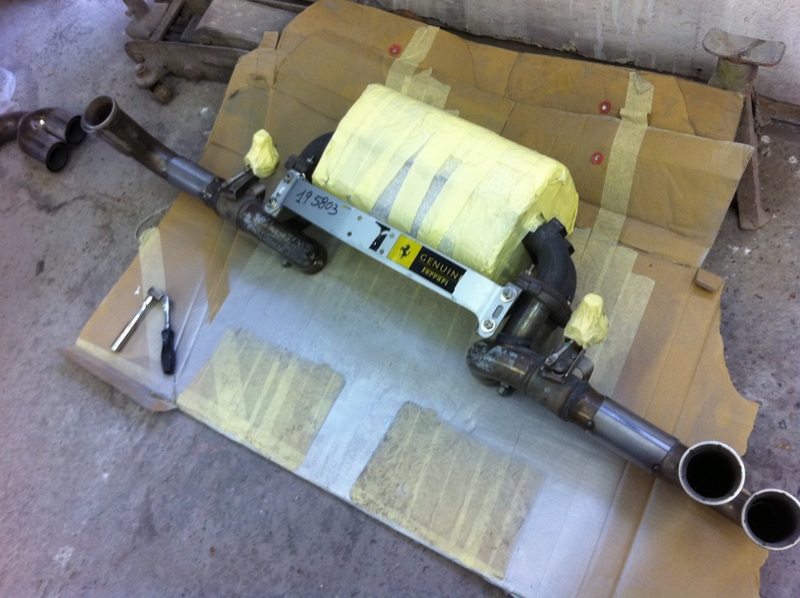 Next lets look at a Stradale Exhaust. 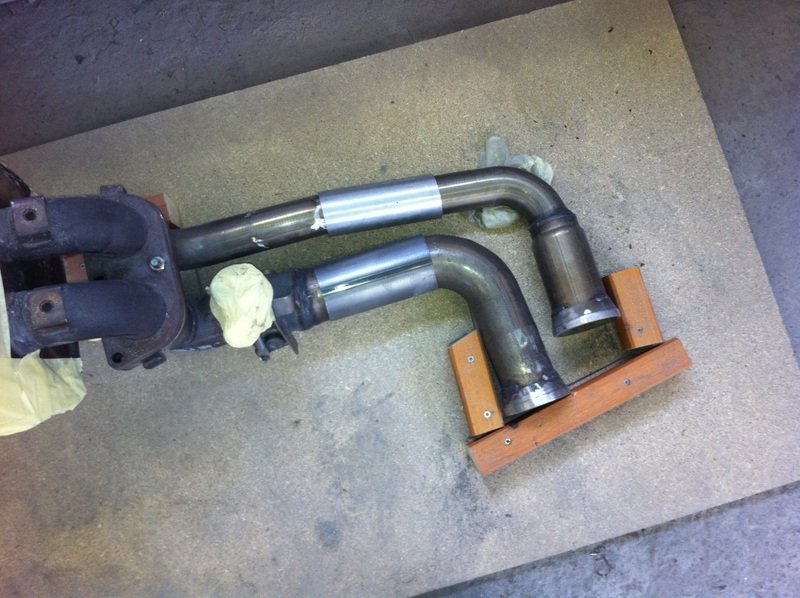 You will see that the gases pass from the catalytic converter and into the tail pipe. 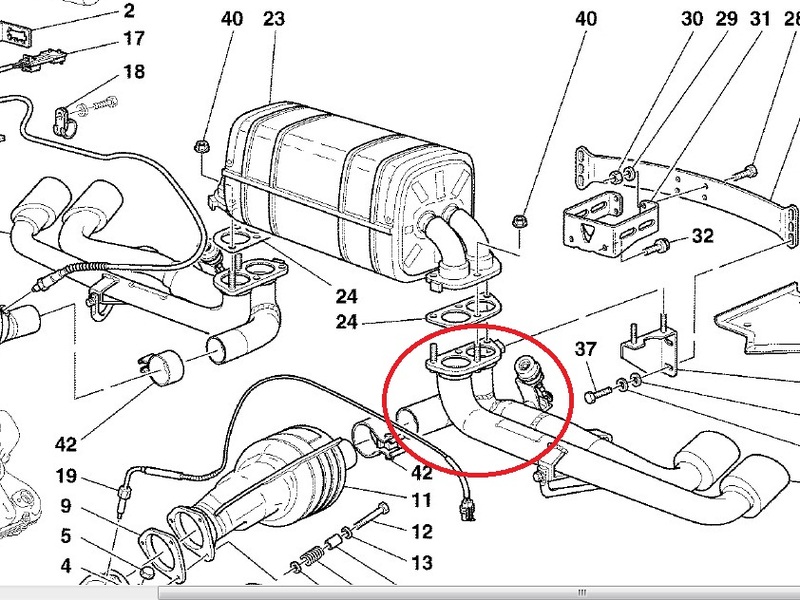 There is a valve (circled) on one of the tail pipes. 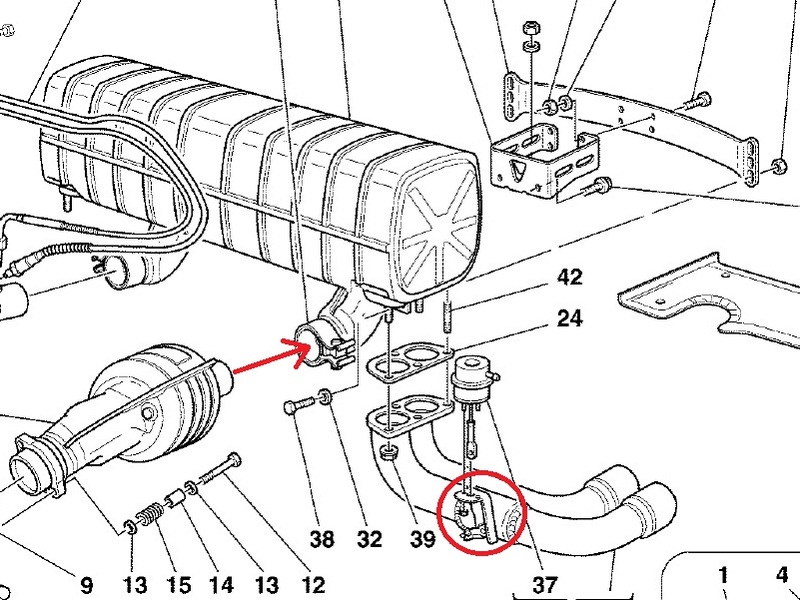 When this valve is closed (low engine speeds) the design of the tail pipe means that the gas is diverted up into the silencer and then out of the other tail pipe. When the valve opens, the gas is allowed to bypass the silencer and vents directly out – this gives the trademark Stradale “bark”. 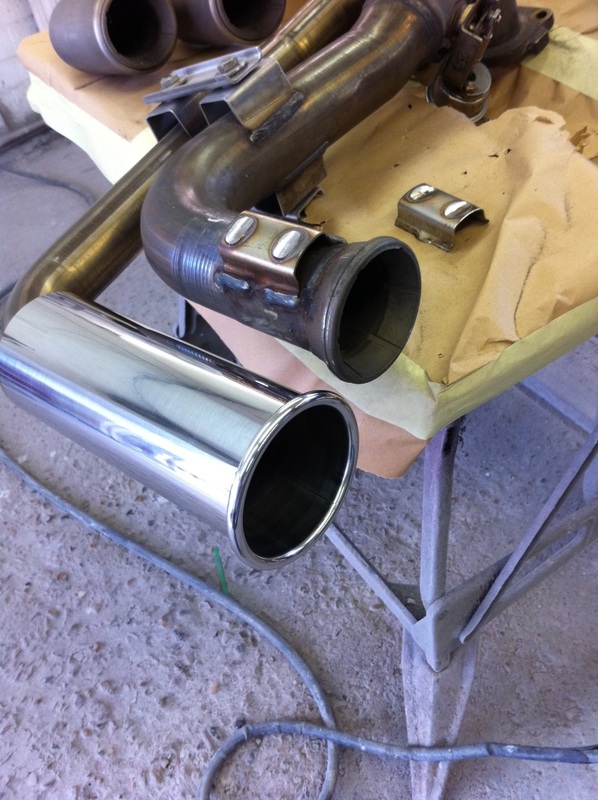 Finally, lets look at a standard F430 exhaust. 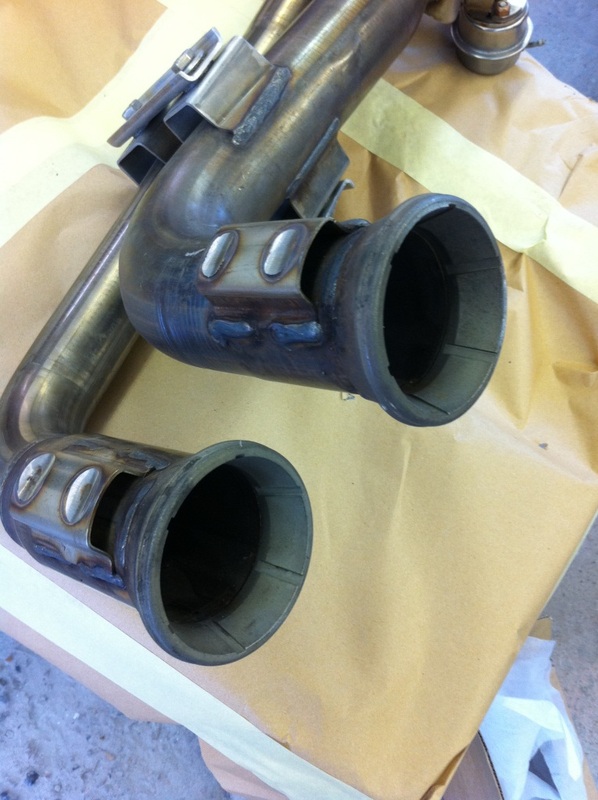 You will see that the tailpipes have a similar design to the CS. 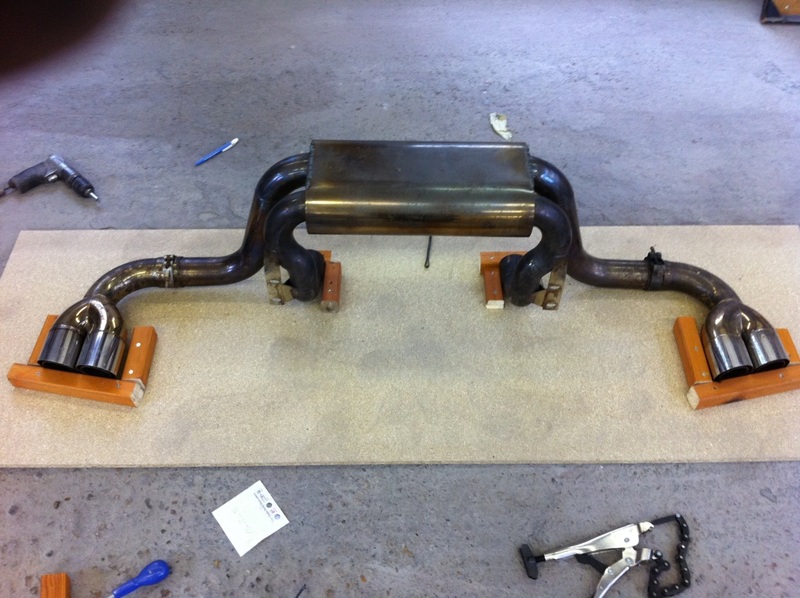 You will need your old 360 exhaust system off the car. 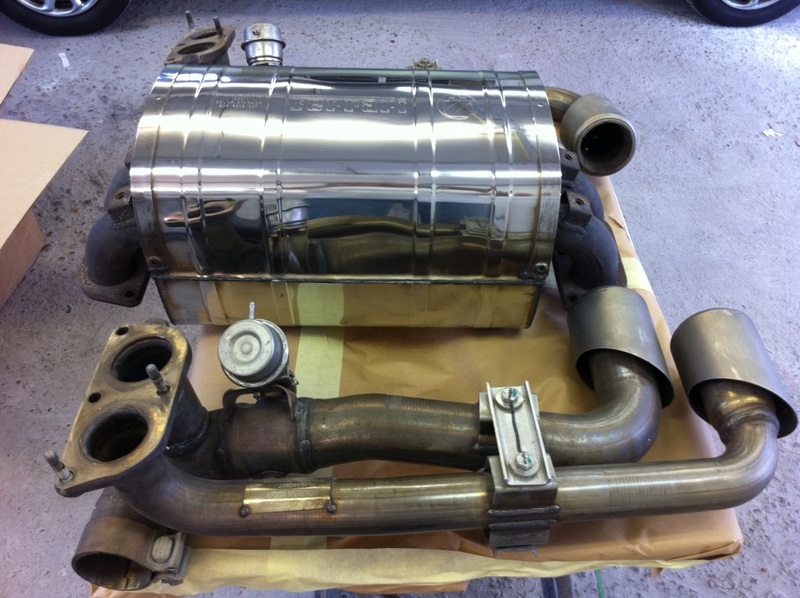 Here are the two systems side by side – you will see that the F430 system is much wider but usefully the inlet pipes that attach to the catalytic converters are in the same position and are the same size. 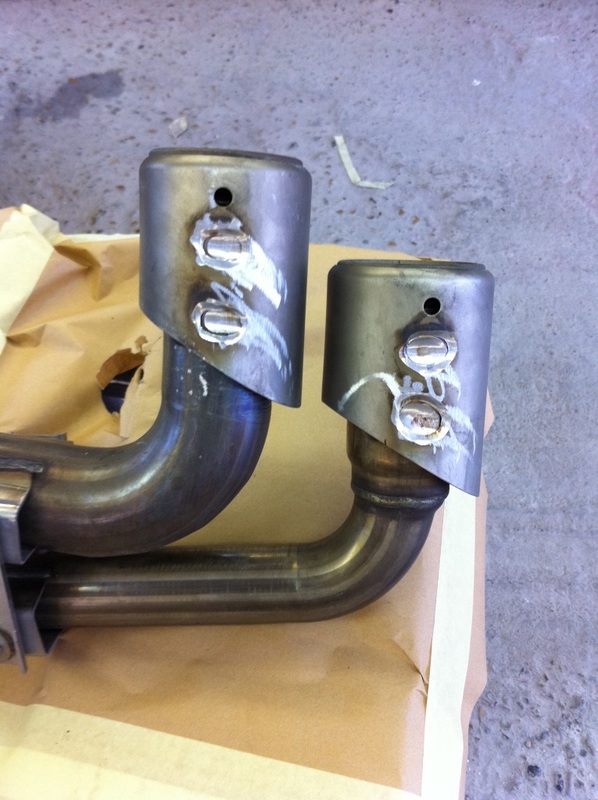 Once you’re happy everything is in the correct place, seam weld the sleeves and make sure the chrome tips are secure. Easy! Nice write up. 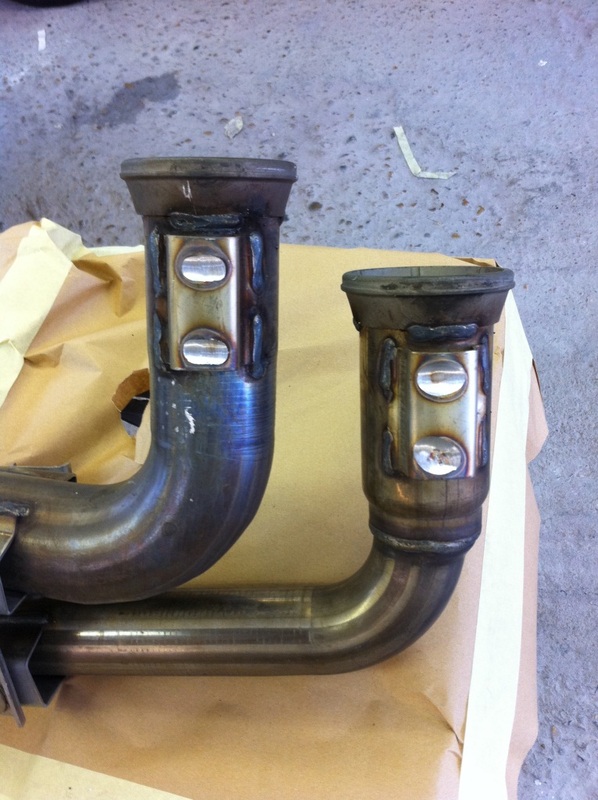 Do you know the actual difference between the 430 and CS exhaust? The CS has different tail pipes (obviously). 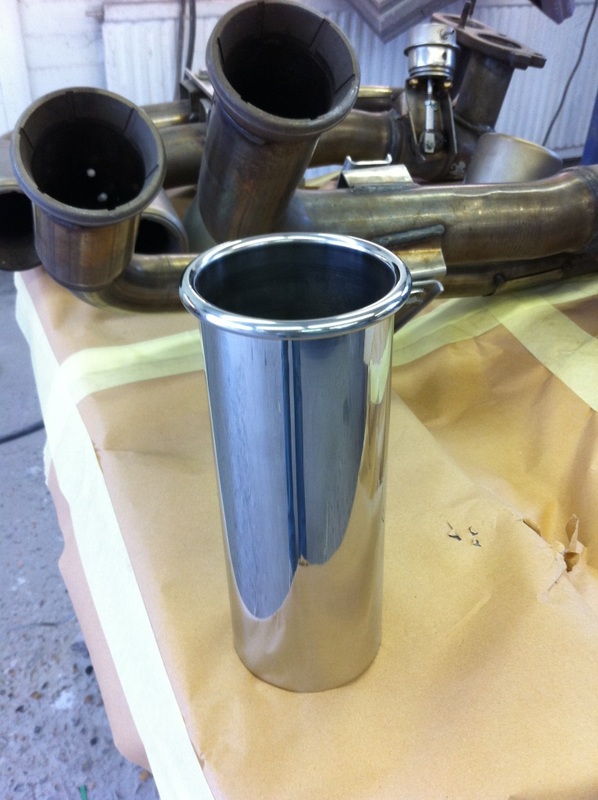 It also has a trim cover each side of the silencer. There is also talk that the silencer internals are different but until someone cuts one open there’s no way of knowing for sure. I have 2 questions concerning this conversion. 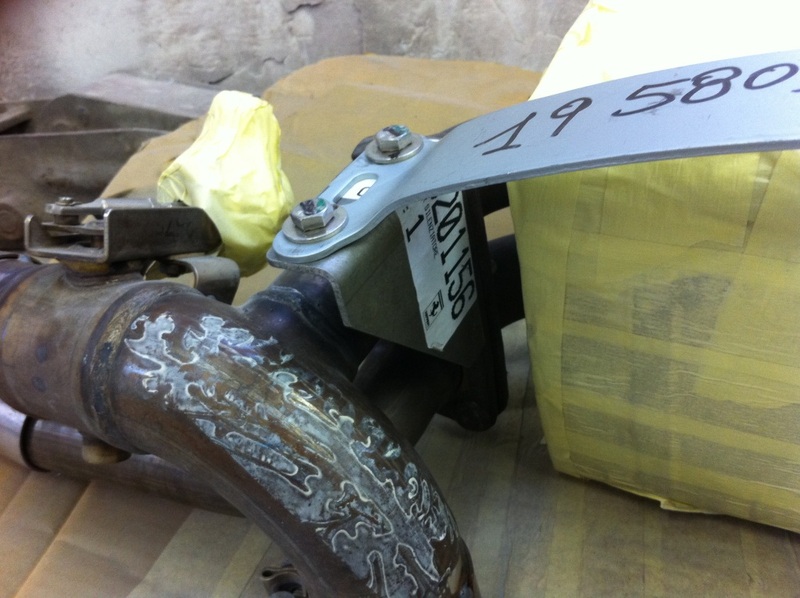 is it necessary to use the brackets (201155 & 201156) ? 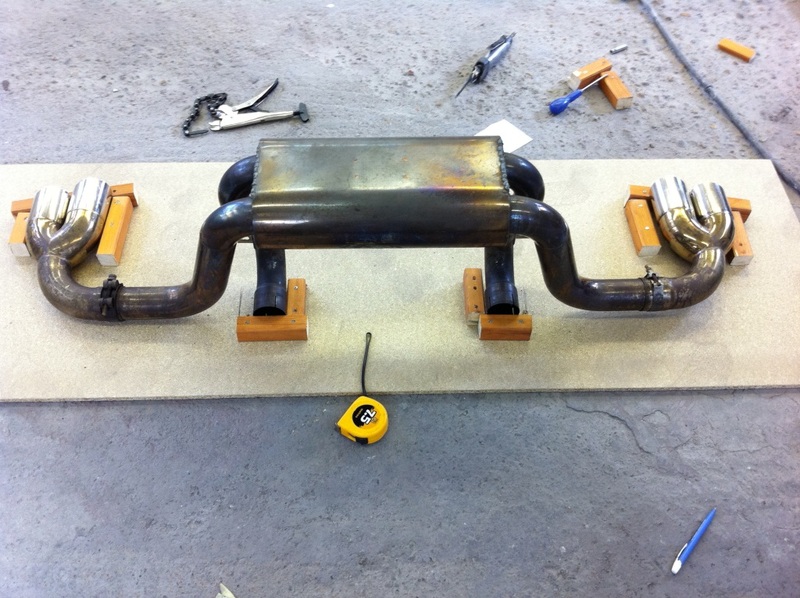 I am starting the conversion next week, and I have a complete F430 exhaust with all the brackets, bolts etc. 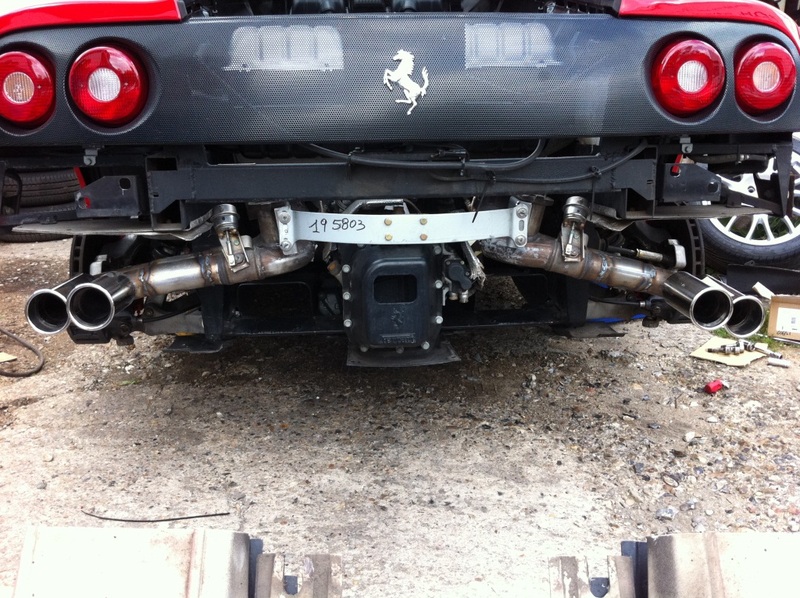 The F430 brackets have pn 210893 & 210892. 2nd: where did you bought the end tips mentioned in this topic? 1. I think you will be fine with the brackets. 2. I can’t recall where they came from – it was too long ago!